SACRAMENTO, Calif. — California Gov. Gavin Newsom is traveling to El Salvador to learn firsthand what is prompting thousands of people to leave and seek new lives in the United States. Joining him is an aide whose father made the same journey to the U.S. nearly 40 years ago . Jesse Melgar is the lead press official for Newsom's first foreign trip since he took office in January. Like the throngs of asylum-seekers from Central America now arriving at the U.S. border, his father sought to escape violence. "You went to sleep and you didn't know if you were going to get up alive," said Melgar's father, who asked not to be named out of concern for the safety of family members in El Salvador, which is still wracked by violence. "It was a really bad situation." 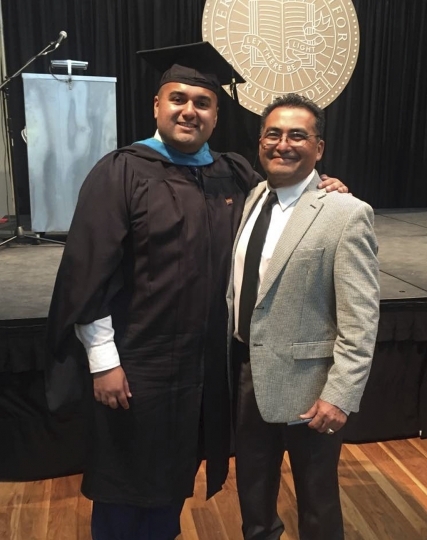 Melgar's father was 21 and training to be a teacher in rural schools when he fled in 1981. He and several friends trekked through Guatemala and Mexico before crossing illegally into the U.S. He eventually settled in San Jose, California, where his sister lived, met a Mexican-American woman while working at a factory making airplane seatbelts, and they had two sons. Jesse, 31, is the youngest. 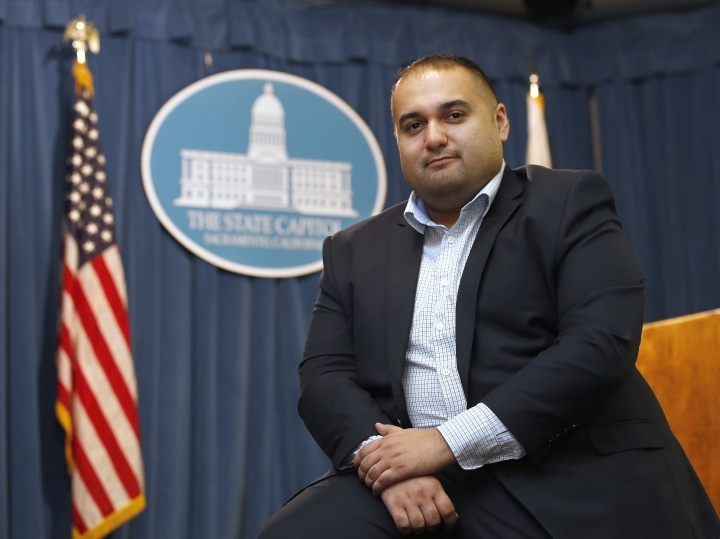 Deputy director of public affairs for Newsom is a role he took on after earning a master's in public policy and serving as a deputy secretary of state under Democrat Alex Padilla. Melgar said it's powerful and meaningful that he's traveling to the country his father left behind. He'll be representing a state that by far has the largest share of the more than 2 million people of Salvadoran descent living in the U.S.
"From having my dad emigrate illegally to, one generation later, being able to fly back as an aide to the governor to examine a lot of the causes that pushed people to emigrate in the first place and continue to, it's surreal and it's incredibly humbling," Melgar said. Newsom's trip runs from Saturday through Wednesday. Details of his schedule have not been released. "I saw how government could work for my family," he said. Melgar's father gained citizenship under former Republican President Ronald Reagan's 1986 amnesty law. He learned English working at a pizza restaurant during his first year in the United States and passed a test in civics. "It felt really good," he said of becoming a citizen. "Being in a free country that you have a lot of opportunities and a lot of laws that protect people. (That was) not what I came from at the time." Melgar's father said he was nervous when his son expressed a desire to enter politics, which was a brutal profession in El Salvador. "All the people in politics were getting killed," he said. "So you come with that mentality. ... You prefer your kid to do something else." He's since come around to his son's profession and, as a regular voter, understands U.S. politics. Now 57, he works as a manager at a factory in Southern California. About 3,000 unaccompanied Salvadoran children and 12,000 family members have entered the United States since October. That's far fewer than the number coming from Guatemala or Honduras; both countries have more people than El Salvador. Newsom and California's other all-Democratic leadership have been harsh critics of President Donald Trump's immigration policies. Newsom has directed $5 million to aid a shelter for asylum-seekers in San Diego and wants to expand health care coverage to people living in the country illegally. This will be Melgar's second trip to his father's home country. He first went in 2009 with a Salvadoran student group at the University of California, Los Angeles. The group was invited by the United Nations to observe the presidential election. He was 21, the same age as his father when he left. "Going back to my home country," Melgar's father said, "that makes me feel really proud."